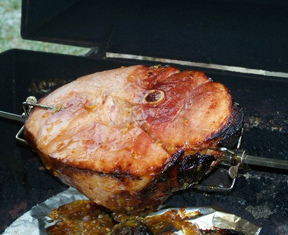 The rotisserie grilling keeps the ham moist and tender. Ham and pineapple are combined together for one great taste in these Ham, Pineapple and Cheese Rolls. A perfect recipe for using up leftover ham. If your family does not like cheesy fries, serve plain French fries with these ham and pineapple rolls. The fresh flavor of cucumbers and cranberries combined with the natural taste and texture of the wild rice make this salad a refreshing contribution to summer outings. Don't have time to make Oriental Coleslaw? Just stop at the deli and pick up some creamy coleslaw to serve instead. 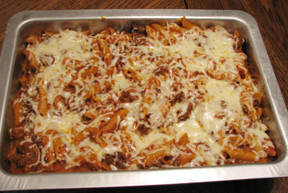 A quick way to add a little zing to an old favorite. White rice can be served if your family would prefer it in place of wild rice.